At Affordable Decorators, we have a long history of decorating excellence and are proudly Queensland’s leading, and one of Australia’s largest, dedicated showrooms of luxury wall coverings and fabrics. We are also Proud Suppliers of Channel 7’s House Rules. Our talented team are filled with zesty ideas, creative concepts and stylish flair; our passionate service and commitment to our customers is reflected through our ongoing work and referrals, which we can proudly say is a testament to our success. With over 38 years’ experience in the industry and as masters of our craft, our portfolio has seen us work with an extensive list of local, national and international clients that we have established long-term relationships with across a variety of sectors, including retail, commercial, residential, health & age care, restaurants, bars & nightclubs and movie sets - to name a few. We are professional painters in Gold Coast, QLD specialized in house painting, interior, exterior, residential and commercial painting projects. We love the home decoration. Wow Wallpaper Hanging are a team of professional wallpaper installers that service the Gold Coast and Brisbane areas in Queensland, Australia. With over 30 years experience we are experts in all types of wallpapering. 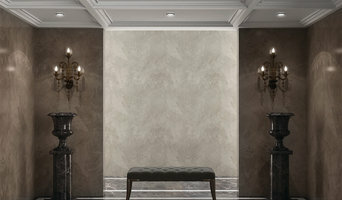 We work with interior decorators, builders and private clients providing residential and commercial wallpaper installation. We supply and install wallpaper!! Browse thru our extensive range of design wallpaper. Delivering Stunning Interiors Since 2004 Stunning Wallpaper Designs - Professional Wallpaper Installation. With over 20 years experience in wallpaper, we have not only mastered all the tricks of wallpaper installation and hanging, but we can also offer professional advice to help you choose your perfect wallpaper from our selection of beautiful imported wallpapers. Transform your living space with Beautiful Walls. Painting specialists based on the Gold Coast servicing Sovereign Island, Sanctuary Cove, Surfers Paradise, Hedges Avenue and Sorrento including all surrounding areas. Paint Co. Australia provide a new standard of excellence in Painting and Decorating for the residential, commercial and prestige sectors within South East Queensland. All projects are completed to a swift timetable by a skilled team of tradesmen qualified with a minimum qualification Certificate III Painting and Decorating. The team is also well known for its reliable management of body corporate projects across South East Queensland and Northern NSW. Paint Co. Australia is fully compliant and qualified in all aspects of Safety and Waste Management to the correct Australian standards. 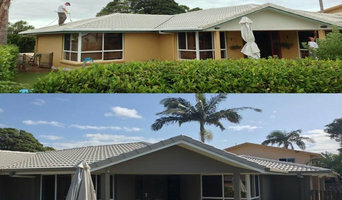 Tweed Heads Painting Service is your residential and commercial painting specialist. For more than 40 years, we have continued to provide a vast range of interior and exterior painting services for new builds, restorations, single or multiple rooms and homes. Uncertain about which colour or finish to choose? We can help! Before we begin your painting project, our team will arrange a consultation with you and provide a free quote. When undertaking Tweed Coast painting projects, we use premium brands such as Dulux, Wattyl and Solver for a superior finish and long-term durability. From ladders, scaffolds to spray guns and paint, our painting contractors supply all of our own materials and regularly work at heights. We use airless spray painting guns, to ensure no bubbles in your paint work. Regular maintenance such as pressure cleaning and retouching for your home or business can also be organised. You can be rest assured of receiving prompt service and quality workmanship. Contact us for a free quote on your next painting project. 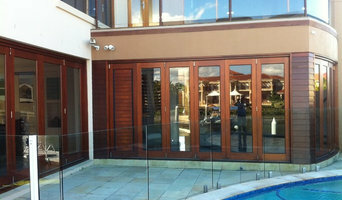 We are fully licensed and insured to work throughout the Gold Coast and NSW Tweed Regions. Bathroom Werx transforms your bath, basin, tiles & shower back to NEW… ...ready to use in just 24 hours! To save you money, time and hassle, we do it all on the spot. Get rid of those dated colours in your bathroom with no mess, no expensive plumbing or structural changes! A Brush Above is the name that best describes our business, we do an exceptional job when it comes to painting. Our experience covers over 30 years in all aspect of the trade. We only use premium quality paint and materials. Preparation is paramount to ensure the end results not only looks great it has the durability to last. 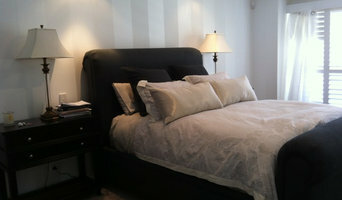 Unparalleled level of customer care and consideration is taken when we come into your home, extremely clean and tidy. Work is carried out with professionalism from a qualified trades person. If painting your walls or installing wallpaper aren’t your favourite jobs, it’s very well worth considering hiring a professional for it. Not just for the obvious time-saving, but there’s actually more to a good paint or wallpaper job that you might think! Whether you’re looking to paint your bedroom or living room, you’re always starting from the all-encompassing question of which colour to paint your walls or which wallpaper to choose. The next challenge is selecting the best product for your needs. And don’t even mention the work involved in preparing the wall and applying the paint so it lasts. If you’re looking for a professional house painter or wallpaper installer in Palm Beach, Queensland you’ve come to the right place. You’re sure to find the best painter for your job in the Houzz professional directory. Here on Houzz, you’ll also find Palm Beach, Queensland professionals who can create a more creative wall design for your home, including wall murals or custom wallpaper. Murals drawn by an artist will often require a large space, but it’s worth investigating if you’d like a one-off feature wall every visitor will remember. If you’re after advice rather than application, here you’ll also find colour specialists that can help you in your quest for choosing the right paint colours or wallpapers for your abode. Scroll through this page to find painters and wallpaper installers in Palm Beach, Queensland. You can browse their latest projects, read reviews to see how other homeowners rate their work, and message them directly.